While clicking links and hopping from blog to blog during this month’s 24 Hour Readathon, I came across the very cool idea of posting on Mondays about what the previous week held and the coming week would bring. The title can’t be beat! So, thanks to The Daily Bookmark, I have a new series to jump off the previous This Week I Love tag. Perhaps I’ll actually post it at the beginning of Monday next time. Readathon, Part Deux – After participating in the Fall Readathon and not being able to sleep more than 2 hours in 40+, I crashed on Sunday afternoon and slept until Monday morning. I was refreshed by then and accomplished quite a bit of work, but I lost motivation by the evening and just really wanted to read again. I haven’t felt that in quite some time! So on Monday night I shut everything down and headed to bed early with my next review book from BookSneeze. The next morning I woke with intent to be productive, but throughout the day I wanted nothing but more reading time! Tuesday, then, was a second readathon in which I stayed in my favorite spot lying across the bed while the cool, fall breeze filled the room. I tried to return to a bit of work off and on, but by early afternoon I knew I was good for nothing but reading. Even when my body gave out and brought on a nap, I woke a couple hours later anxious to finish the book. This is how reading used to be for me, and I certainly am welcoming that feeling back into my life. Baseball Woes – It was good that I found joy in reading again because my favorite New York Yankees just crumbled before my eyes. The postseason had begun pretty well, but by the time they reached the AL Championship Series, my favorite players dropped out of the lineup and the others were just not fulfilling their potential. The Detroit Tigers were also in extremely great form, so it wasn’t just the Yankees who brought about their demise. But it was still so very sad to watch. The Dyl, a die-hard Texas Rangers fan, called the ALCS “Dyl’s Revenge”, but his older brother, my only other Yankees compatriot, felt the sting for days afterward. K2 wanted his team to win the World Series this year because it would be a great memory for his Senior Year. All of his other favorite teams have won their respective championship series, but he has no baseball claim-to-fame. So this loss really broke his heart. For myself, I know there’s always next year. But it never quite looks the same. TV Love: Once Upon A Time – I came to love this series last year, but this past Sunday I was truly wowed (again) by Robert Carlyle as Rumplestiltskin and his alter ego, Mr. Gold. He is mesmerizing as he alternates between the two characters: one, the evil dark lord with no regard for anyone but himself, and the other, a man finding new life through the love of a woman (Belle, from Beauty and the Beast). Carlyle has made me love Gold, even as I am sickened by Rumple. Each time an episode centers mostly on his character I find that I’m even more impressed with Carlyle and even more interested in Gold and his journey. It’s a brilliant characterization, and Carlyle has made a permanent fan of this girl. TV Love: The Return of AMC – Dish Network finally got over itself and settled the ridiculous lawsuit they had with AMC Television, and they did just in time for Sunday’s episode of The Walking Dead. Thankfully, they also ran last week’s premiere episode, as well, so that I didn’t have to find it online. When the channel was blocked by Dish in late spring I was disappointed but resigned to waiting for DVDs of the AMC series that I watch. I felt fine about waiting for Mad Men, and then The Killing was cancelled, but I had a terrible time adjusting to the fact that I wouldn’t be seeing The Walking Dead in October this year. It’s become a tradition now! And October doesn’t seem complete without the crazy zombies and human melodrama and (especially the) irreverent character played by Norman Reedus. Not having this series created a real void in my week as Twitter was lit up with reactions to the premiere and thoughts on the new season. So I’m overjoyed at Dish Network giving in and bringing it back to my TV. Who knew I’d come to love a zombie show?! 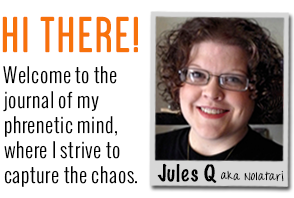 I’ve got book reviews! I’ve caught up with personal reviews on my recently completed readings, so this week I’ll post about Swipe, Sneak, and The Associate. I hope to also (finally) get my movie review up for the one cinema viewing in my Summer Film Series. It’ll be a grand week of catch-up, if nothing else. In the offline world, I’m beginning a new phase over the next couple of months: gluten-free living. I wasn’t aware that this was necessary for me, but during the past week I have been ravaged by crazy itching over half my body. I’ve been eliminating products and retracing what I’ve been eating (none of it any good for me, mind you, but nothing different than usual), and I’ve searched and searched for remedies to these symptoms. My hands are scaly with tiny little blisters along my fingers; my eyelids are itchy and dry; the skin around my lips has tiny raised whelps; and there is itching in places one simply cannot scratch! There are many creams and lotions and essential oil treatments, but the issue really is about what’s causing the problem. My body reacted so violently that I had to cancel plans three days in a row due to the extreme discomfort. It wasn’t until Sunday night that I came across a site mentioning these symptoms in relation to hormone imbalance during perimenopause. The lightbulbs finally started coming on, as I’ve known for the past year that I was in the midst of both. Then today my mom learned that these rashes and irritations were a sign of gluten intolerance in a friend’s daughter. So now I’m exploring that angle. At present I just want to stop itching, but long-term there’s huge benefit to this type of lifestyle change, so I’m going to spend some time this week exploring the gluten-free plan. I won’t post much here on phrenetical unless there is definitive progress, but it’s something I know is very common so perhaps someone will stop by to offer insight. It’s all very new, and I’m not certain this is the root of my current situation, but such changes are certain to benefit me anyway. It’ll be an adventure, nonetheless! Under the category of “Best Laid Plans”, this year’s Summer Film Series was almost a total bust. I saw one film in a cinema (ONE! ), and I had no desire to get out to the movieplexes for any more. It’s not for lack of options. I had a full list of movies I was thrilled to see on the large screen. But with my summers comes a funk – compounded by this year’s continued unemployment woes – so each time I determined to hit the movies, I found fifty reasons why I didn’t want to go. Even after the summer funk lifted, I discovered that the desire for theatre viewing had not returned. Just last week I woke in the wee hours of the morning and decided it would be a perfect day to catch an early (cheaper) showing of The Dark Knight Rises, and I had actual excitement at the prospect, but within a half hour I realized that I just didn’t want to spend three hours inside a dark cinema. Instead, I texted my parents and made a plan to visit them. It was still too warm for lakeside sitting, but I was much happier hanging out at their RV with no purpose than I would have been watching Christian Bale and Tom Hardy. If you’d told me this in the spring I’d have scoffed loudly. But now I’ve determined to just catch this summer’s movies on DVD or at the $1.00 cinema this fall. And I’m totally fine with that decision. If this trend continues in successive years, I may have to turn the Summer Film Series into a list of what I watched in the summer instead of the new movies released each year. Despite not hitting the cinema more than once (to see The Avengers, whose recap will be posted later this week), I still watched a ton of movies. Granted, most came from television and cable airings, with just a few DVDs in the mix, but movies are still a main source of entertainment for me. The list that follows includes every movie I watched between May 1 and August 31. I may go back and “review” some of these in more depth, or I may not, but I wanted to make note of them in case this year marks the switch from Summer Film (Cinema) Series to Summer Film Series (all-inclusive). Time will tell. Lady and the Tramp (DVD) – In the spring Dyl discovered this movie and began watching it repeatedly (as he is wont to do), so on one of his longer stays with me I asked what movie he wanted to watch and Tramp was his only choice. I was thrilled since this has always been one of my favorite old-style Disney flicks. And it’s always a joy to watch a movie with D that he adores. We giggle a lot (no actual laughter allowed), and we discuss the movie in great detail. It’s a pleasure to do that with a movie I actually like. Despicable Me (Cinemax) I took a chance recording this movie, not knowing if D would like it or not, but it turned out to be a good choice. He got a little bored from time to time, but he asked me to leave it on the DVR for future viewings. Since then, D has watched it on his own several times. It’s nice to find a keeper for him! Happy Feet Two (DVD) – Technically, this shouldn’t count since it was rented for Dyl but he was over it at the halfway point and we never finished. I was enjoying it a lot, though. Brad Pitt and Matt Damon as Will and Bill the Krill were most enjoyable, and dancing penguins are just a happy sight. I may go back and watch one day just to complete it. Ronin (Cinemax) – My umpteenth viewing. I love this film for a dozen reasons, not the least of which is Sean Bean. It’s a pretty cool flick, too! Havana (Cinemax) – Every once in a while I do a TV search for Robert Redford and find movies that I never got around to watching before. Havana wasn’t that appealing to my 21-year-old self but it was highly interesting to me now. History in the midst of dramatic narrative with a little romance to spice things up; it’s a beautiful movie with an amazing cast. I should search for Redford more often! Great Expectations (Masterpiece) – Having never read most of the literary classics I’m always interested to watch film adaptations, and this new movie starring Gillian Anderson as the tragic Miss Havisham was incredibly appealing. I’ve nothing to compare it to, of course, but this Masterpiece offering seemed very well-done and featured exceptional performances all around. The Seven Year Itch (TCM) – You may recall that I’ve been exploring the films of Marilyn Monroe over the past couple of years, trying to understand the appeal. Seven Year Itch is a funny movie, though always a bit inane, and Monroe is good as a ditzy aspiring actress, but really, her role is largely set decoration. The true star of the movie is Tom Ewell as a man contemplating bachelorhood while his wife is out of town. His affections focus on Monroe, and the one-sideness is played for screwball comedy. It’s a cute film but it didn’t make me appreciate Marilyn any more than before. BUtterfield 8 (TCM) – My dad actually recommended this Elizabeth Taylor film, and I was pleasantly surprised at how good it was. Not that I doubt my dad, but sometimes Taylor can grate on my nerves. Fortunately, she was sweet and cute in BUtterfield, and she had great chemistry with Laurence Harvey, who played the married lover she fell for, and with Eddie Fisher, who played the best friend who was also in love with her. Though Taylor was fun to watch, it was Harvey who shined for me. I always forget how charming he was. A Dangerous Method (DVD) – The biggest draw to this story of the friendship between Carl Jung and Sigmund Freud is Michael Fassbender and Viggo Mortensen in the roles. They are both riveting, as you would expect, but it’s Keira Knightley who becomes so memorable. Bless her courageous soul, she kinda freaked me out as a Jung patient suffering from hysteria, but it’s to her credit that she dove in completely. The movie is a bit more tedious than I hoped, but the friendship (and its eventual demise) between Jung and Freud truly gives the film a thread of grace. War Horse (DVD) – I have so much love for this film, for this story. Just… So. Much. Love. That a horse could become one of the greatest characters ever portrayed on film is just brilliant, and each of the human actors served to further the horse’s characterization. I could go on and on but still never begin to convey the beauty of the film. It’s just something that must be experienced. Nicholas Nickleby (Starz) – Though it’s a mediocre adaptation of the Dickens novel, I still enjoyed this film very much. Jamie Bell, as always, is superb, and Christopher Plummer is perfectly dastardly. Beyond that, it’s just a kooky little movie. The Lincoln Lawyer (Epix) – Obviously forgettable, as I recorded it again a couple months later thinking I’d never seen it, only to remember it once the first scene began. I think I enjoyed it some on first viewing, but I honestly can’t recall. Se7en (IFC) – I was never quite sure if I’d like this film so I avoided it for years. It’s actually much better than I ever thought it would be, and all of the praise given to the young Brad Pitt was well-deserved. Morgan Freeman and Kevin Spacey also elevate the film. It’s not the kind of movie I could watch over and over, but I’m glad I finally saw it. Apocalypse Now: Redux (AMC) – My first viewing… and my last. This is truly a disturbing film, and I may never recover from having seen it. The Eagle (Cinemax) – I generally avoid Channing Tatum films because they tend to be awful, but this particular story was set in the days when Rome ruled Britain and they were at war with the tribes of Scotland. Tatum played a Roman soldier in search of the lost emblem of his father’s legion, and Jamie Bell played the slave who accompanied him on the journey. Turns out, the movie is actually very good, and Tatum’s performance is enjoyable. (Bell’s was better.) It’s safe to say I will watch The Eagle many times in the future. Underworld: Rise of the Lycans (TNT) – I’m a sucker for the Underworld movies, but it took this particular one to make me realize that Lucian was played by Michael Sheen… and that he had also played that role in the first movie of the series. I was shocked that I never realized it before – that crazy long stringy hair totally disguised him from me! – but it changed my entire opinion of the character and made me want to rewatch the first movie again. No matter how bizarre or disgusting the Underworld films become, I still love watching them over and over. Man On A Ledge (DVD) – Sam Worthington and Jamie Bell (Are you sensing a theme here?) were both terrific in this movie, and though you may think you know what the story is about, it takes some interesting twists before it’s all said and done. I think this movie is terribly underrated. 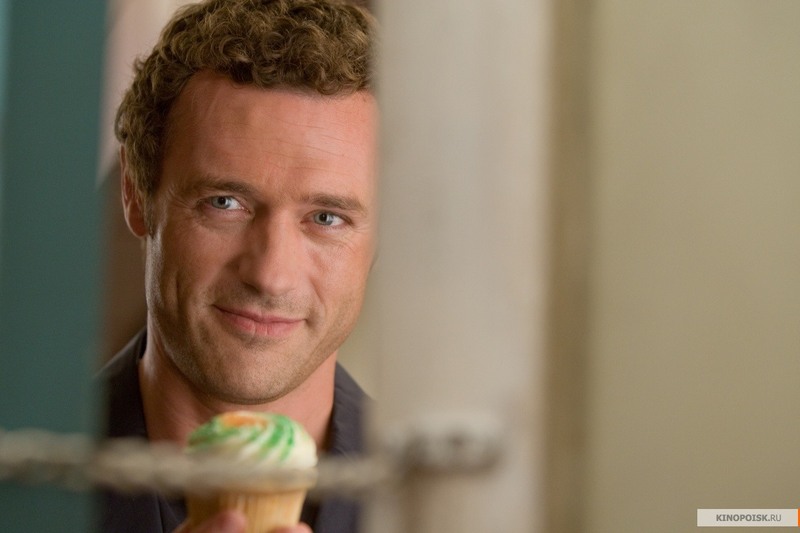 One For The Money (DVD) – Even the utter adorableness of Jason O’Mara couldn’t save this film for me. I’m just not a big fan of romantic comedies, and this one was all kinds of unbalanced. One minute I thought it’d be cute and fun, and the next I’d wish it would just end already. I only watched it all the way through for the eye candy. Even O’Mara won’t be enough to make me see Two, much less Three or Four. Glee: The Concert (Cinemax) – I’ve watched Glee since the beginning but what’s keeps me coming back are the music performances. I turned on this movie with the intent to listen while I worked but I found that I needed to skip forward a lot. The “human interest” stories just didn’t appeal to me, and they mostly felt like so much more of the Ryan Murphy Agenda. I completed the two-hour movie in 30+ minutes and had no love for anything but the music. I’m now debating whether to even continue watching the TV series, as well. I’m thinking Glee has finally run its course for me. Gossip (Cinemax) – I’ve seen this movie several times and always because I would realize that a certain actor is in the cast and I overlooked them originally. This time it was Norman Reedus who brought me back to it. I’ve come to love him while watching The Walking Dead, but had no memory of him from Gossip. Upon this rewatch I remembered that I did enjoy his character but never put his name to his face back then. Still, it’s Lena Headey who draws me to the movie, and that never changes. Star Trek – 2009 (FX) – Another rewatch, just because I needed a Chris Hemsworth fix, but he’s gone far too soon. Thankfully, this movie is always fun to watch. Underworld: Evolution (FX) – My love for Underworld is mostly because of my love for Kate Beckinsale as Selene. I tend to return to the films again and again just because she’s so cool in the role and it’s fun to watch. I only rewatched this one to remind me of the arc that threads all of the movies together. Without much Lucian, though, it’s just not as good a film as the first one. Taxi Driver (Encore) – Like Apocalypse Now, this first viewing of the DeNiro film will also be my last viewing. It’s not quite the film I expected after hearing about its “greatness” all these years, but it was a fine bit of screenwriting. Unfortunately, by the final third of the movie, I was just disturbed and ready for the conclusion. I suppose it’s good that I can check this off the list of what a movie lover is supposed to see. But honestly…. Whatever. All The King’s Men – 2006 (Encore) – I knew I’d seen the original version of this film from 1949, but I couldn’t recall if I’d seen this remake starring Sean Penn. Even after watching it again I still wasn’t sure if I’d seen it before until I read my post from 2010. It’s odd that I can’t recall a movie that is very memorable in its story, and it’s especially odd that the performances by Penn, Jude Law, Kate Winslet, and Mark Ruffalo didn’t stick with me. Watching it this time seemed mostly brand new. I’m certain now, though, that I’ll not forget it again. It’s a good movie with good performances, whether you remember it or not. A Time To Kill (TNT) – I just happened upon this one afternoon and decided to let it run in the background while I worked on other things. It’s not a book I enjoyed reading nor a movie I enjoy watching – the subject matter (i.e. the crime that sets events in motion) is so unpalatable – but the performances by the entire cast are terrific. I tend to forget that when thinking about the movie. It’s also great fun to watch earlier films of Sandra Bullock before she became known for playing kooky. The Grey (DVD) – I like Liam Neeson a great deal but I hadn’t really heard enough about this movie to make me want to see it. Then I saw my beloved James Badge Dale in the cast list and decided I had to rent it. There are simply not enough opportunities to see him anymore. Turns out, The Grey is a very good movie! Which is good because Badge died within the first fifteen minutes. (Figures.) The movie is kind of terrifying in a non-horror way, with the entire story focusing on a group of men who survive a plane crash in Alaska just to be hunted by wolves in the wilderness. Neeson is the voice of reason that keeps them going. He’s also incredible to watch; the man punches a wolf in the face, for goodness sake! If for no other reason, that’s worth the price of admission right there. Coriolanus (DVD) – I felt a little whiplashed after (attempting to watch) this film. I often enjoy the conceit of using Shakespeare’s original language in a modern-day setting, but this story is difficult to follow and the film difficult to watch. Despite riveting performances by Ralph Fiennes and Gerard Butler, I still found my attention drifting in and out while trying to watch. I can’t recommend this movie to anyone other than a serious film buff or Shakespeare aficionado. For the rest of us, Coriolanus is just tedious viewing. Underworld: Awakening (DVD) – This most recent entry in the series is the weakest, but I really don’t expect much from any of them so it never matters how good or bad it turns to be. If Selene is being Selene, then I’m happy. It was also fun to see Michael Ealy in a major role after watching him all summer on Common Law. I didn’t miss Scott Speedman one bit. The Sandlot (AMC) – K2 and I had a couple of movie marathon weekends during the summer, and this was his choice for the first entry in our baseball film series. He’d seen it as a young kid, but viewing a well-liked film is so much different after transitioning from childhood to adolescence. He had forgotten much of the movie, so this was almost like seeing it for the first time. And it never, ever gets old. Ferris Bueller’s Day Off (Cinemax) – I had also been recording movies for K2 that I’d loved as a teen, and I thought this would be a great way to introduce him to John Hughes and my beloved 80s flicks. Unfortunately, I’ve not seen the movie completely since my teens, and I totally didn’t remember so much profanity. I was discouraged and apologetic for praising it so highly. Of all the Hughes films, I really thought this one was the most benign. Not so, and I had to continually apologize to K2 for presenting it to him. Of course, he’s 17 and can handle it, but I hate being the one to introduce such a thing, no matter how old the kids might become. In the end, K2 fell asleep before the final acts of the movie. I just might be done with Ferris for life. Eight Men Out (Cinemax) – It was necessary to watch this movie prior to showing K2 Field of Dreams so that he would understand the significance of Shoeless Joe Jackson. I was also excited to show him how baseball was played in the early years (and how much hasn’t changed at all). I didn’t really know how K2 felt about it at first but as the weekend wore on I realized that the movie had made an impression. That’s exactly what I’d hoped for. The Natural (Cinemax) – Selfishly, I had to include this Redford classic in our marathon just because every baseball fan should see it. K2 liked it fine, but what it really did was spark a round of Googling about the origins of the New York Yankees (after realizing that the New York Knights team in the movie was fictional). When watching a movie leads to a longer discussion and some history lessons, I’m always pleased. Field of Dreams (TNT) – I think this movie provided the best moment for me: halfway through the film, after players have appeared from the corn field and Shoeless Joe’s origins have been explained by Costner to his movie daughter, K2 said, “It’s good that we watched that other movie first. That helps you understand this movie better.” 😀 Exactly! He then went on to say, “Hey! That’s just like that Pepsi commercial.” LOL It’s all starting to make some sense. Rookie Of The Year (Cinemax) – Our final baseball entry in the marathon, and it was a perfect way to end. It hit the mark for K2’s childhood nostalgia – he’d never seen the movie but enjoyed that the main character was a kid – and it allowed us to continue laughing after watching Zathura. For myself, Rookie Of The Year brings back great memories of seeing it with my college roommate upon its release at the cinema. Nostalgia all around! Inception (HBO) – I had been anxious to introduce K2 to this movie but wasn’t quite sure if he was ready for it. He tends to like “lighter” fare, and because this movie will kinda blow your mind, I had to quiz him on whether he cared. Turns out, he was curious enough to take the chance. We made the mistake of watching it at midnight after a long day of films, and he was so very tired before it ended, but K2 held on. He forced himself to stay awake because it was so trippy that he couldn’t bear to miss anything. I had warned him that it’s a thinker and that it’s necessary to watch the movie over and over again for most of it to make total sense, and that’s exactly how he felt at the end. He said, “I liked it, but I still don’t understand anything.” Ha ha ha! He will. Eventually, he’ll get it. But that just means I get to keep showing Inception to him again and again. I also realized that it’s time to introduce him to The Matrix, as well. That’s a marathon waiting to happen. Thor (Epix) – K2 had never seen this particular superhero movie, and I needed to watch again for the love of Loki. This movie is still my favorite of the Avengers movie series. I’m emotionally attached, I think. Ghostbusters 1 and 2 (Encore) – Only recently did I decide to introduce K2 to the Ghostbusters, but I knew he’d like it because the humor is perfect a teenage boy. We had a lot of fun watching the movies, but we laughed the most at the dated sci-fi effects. Still, these movies hold up so well because of the humor and the brilliance of Bill Murray, Dan Aykroyd, and Harold Ramis. The super-fun song helps a lot, too. TRON and TRON: Legacy (Encore) – I had warned K2 that TRON was an awful movie with crazy, dated FX, but we were both kinda shocked at just how awful it really was. I don’t think I ever saw it in the 80s, but I loved seeing visuals that reminded me of playing Atari with my parents and sisters in our living room. K2 was embarrassed for us. 🙂 He and I endured the first film just to watch TRON: Legacy, knowing that it had much cooler imagery, but the reality is that neither film is really good. The first has a better story but awful graphics, and the second has cool visuals with a ridiculous story. We kinda hated both films. But we seriously dug the light cycles. Not surprisingly, K2 fell asleep during Legacy, so that tells you how boring it is. X-Men: First Class (Cinemax) – My love for this film makes me keep it on my DVR (oh, for the days when I could purchase DVDs), and K2 had never seen it so we concluded our marathon with my favorite in the X-Men series. Even on multiple viewings, this one never gets old for me. All credit to Fassbender and James McAvoy, of course. K2 liked it a lot, too, but I don’t think he finds it nearly as appealing as I do. I’m guessing that has more to do with gender than anything else. Race For Your Life, Charlie Brown (HDNMV) – Almost two weeks passed in between my movie viewings; the Olympics were airing! But Dyl came to spend a day with me at the beginning of August, and I had the chance to show him a Charlie Brown movie that he’d never even heard of. And that’s rare because D loves Charlie Brown and the Peanuts Gang. He makes me keep movies on my DVR to watch over and over when he comes to visit. I’ve established a limit for him so my recordings list isn’t overrun by Snoopy films, but I agreed to keep this movie for a while until D gets to know it better. It’s not a great entry in the Charlie Brown filmography, but D loves it and I’m just happy that we don’t have to watch A Boy Named Charlie Brown every single time he visits. There’s only so many times a person can watch the same spelling bee, ya know? Star Wars, Episodes I-VI (DVD) – The second movie marathon with K2 was his choice. Over two days we watched all six episodes of Star Wars, back to back in episode order (also his choice), and we reveled in a world we both love so much. K2 is fond of the first three eps, naturally, with their updated graphics and younger actors, while I’m still partial to the original three that introduced me to the world that shaped my movie tastes for the rest of my life and gave me my first celebrity crush in Harrison Ford. K2 chose to watch the tinkered versions of my favorites rather than the original theatrical releases, so I spent most of the final movies pointing out all the things that were changed from the originals. K2 didn’t care, of course, but I felt it necessary since my brain always reacts to what is no longer the same. When it came to the very end of the very last movie, though, I was so disappointed to realize that the Ewok song had been excised in the re-releases. True, it’s an annoying song, but it’s part of my original memories from (what I thought would be) the final movie. When the song didn’t play I lamented it to K2 and said, “You have to hear it! It’s so annoying but so necessary!” And so we watched it and we laughed and K2 groaned that I’d made him see it. But since then, K2 has made reference to the Yub Yub song again and again. (It’s actually “yub nub” but we heard it differently and can’t stop saying it wrong.) We’ve also taken to calling each other “Yub Yub,” and he’s found Ewoks in his old stash of Star Wars toys. So it wasn’t such a bad way to end the marathon, after all. But next time, we’re definitely watching the original versions. For sure. A Star Is Born – 1976 (AMC) – This year I’ve been making my way through the various incarnations of this movie, having watched the original 1937 version earlier in the year. I liked this one much better than the original, but mostly because I enjoy 70s-era Barbra Streisand. Comparatively, this movie takes some creative license and switches up some elements of the story in the name of modernization (sometimes good, sometimes bad), but on its own it’s a very good film. The music, of course, is the greatest element, but Kris Kristofferson really inhabited his role and the chemistry with Streisand is palpable. It’s probably my favorite of all three versions, though I hear there’s another remake on the horizon with Beyoncé in the starring role. I’m sure I’ll feel an obligation to see it, just to complete the series. Independence Day (FX) – My first thought about rewatching this movie was that K2 might enjoy it, but I decided I should prescreen it for fear of another Ferris Bueller debacle. Turns out, it’s fine for K2 but I don’t think he’ll care. Still, I adore it. It’s so fun to see all of those actors at such different points of their careers – especially Will Smith in the role that sent him skyrocketing – and I found that the film holds up really, really well. Independence Day is just a movie that never gets old. And I do love Bill Pullman and Mary McDonnell as America’s First Couple. The Linda McCartney Story (Sony Movie Channel) – Every once in a while I have a “girl moment” and decide to watch a Lifetime-esque movie. Almost every time that happens I wish I’d let the moment pass, and this particular moment was no different. I decided to watch this “biographical” movie because (1) I didn’t really know the story of how Linda met Paul, and (2) Linda was played by Elizabeth Mitchell, whom I like very much. Turns out, the movie was mostly about Linda’s struggle with cancer and her desire to leave a legacy behind for her family; the early years of her relationship with Paul were told in flashback. At the risk of sounding callous, I fast-forwarded through the later years to watch the portion from the 60s and 70s. Linda’s story is fascinating, to be sure, but the reason I don’t watch Lifetime movies is because they’re meant to make you cry (or cry “WOMAN!”), and that doesn’t appeal to me at all. What I gained from watching The Linda McCartney Story is that she led an interesting life and seemed to have a great relationship with Paul and her family. But really, I already knew that. The Secret Life of Bees (Oxygen) – When one female-centric movie isn’t enough, it pays to turn to the Oxygen channel. Thankfully, this movie was more enjoyable. I never read the book despite many good intentions, and I love the actors who were cast in the movie, so this was a good way to spend a lazy afternoon. Alien (Cinemax) – My plan was to revisit the Alien saga to prepare me for this summer’s Prometheus, which was being bandied about as a prequel, of sorts. A friend had given me a lot of insight into Prometheus, and I had been on the fence about whether I cared to see it or not, so I thought that rewatching the original Alien might help me decide. It didn’t, but I enjoyed going back to the Nostromo spaceship. I’m pretty sure I hadn’t seen Alien since the mid-80s when I watched it in the middle of the night during a sleepover at a friend’s house because she had cable and her mother was asleep. It terrified my middle school self, but it also delighted me with its space travel themes. (Star Wars influence at work.) Since then I’ve seen a few of the Alien sequels but not cared to revisit Ripley‘s world. That seems to be true, even now. I’m still on the fence about Prometheus and have decided to wait until the DVD so I can skip what doesn’t interest me. The only reason I’m even considering it is for Fassbender’s much-acclaimed performance. Alien was fun to watch again but not something I need to revisit many more times. Hanna (HBO) – I wanted to love this movie. Saoirse Ronan, Eric Bana, Cate Blanchett, and a spy-thriller-action premise. But it’s just a bad film. To their credit, each of the actors committed to their roles, but they are the only good things about the movie. I feel like it was failed by the writing itself. What is a good plot was severely damaged by a rambling screenplay that relied heavily on gimmicky moments and shock value. If this movie could have been presented like The Debt it would have been a truly great film. Alas, it is not. A Star Is Born – 1954 (TCM) – Rounding out my viewings of this trilogy of adaptations is the version that critics love the most and feel is the defining entry in the series: the Judy Garland film. Unlike the Streisand version, this one is a point-by-point remake of the original, but it didn’t appeal to me that much. I think you either have a taste for Garland or you do not, and I’m not sure that I do. She’s so… LARGE and LOUD in her presence, and I think I’m often turned off by that. Her talent is undeniable, of course, but she’s not my taste. It took seeing this movie for me to know that for certain. Still, in any form this story is terrific. A true classic, no matter who plays the roles. So there you have it. My Summer Film Series for 2012, only one of which was seen at a cinema. Check back here on phrenetical for my review of The Avengers (better late than never), and watch for more movie posts in the coming months. If there’s one thing for certain about my life, it’s that movies are always a part of it. It’s movies like The Bang Bang Club that remind me how many good films exist that never get public notice. Even with the “star power” of Ryan Phillippe, this movie just didn’t get any kind of marketing or attention. And perhaps that was for the best since it is always a delight to discover a film without any preconceived ideas. The film’s title refers to a group of four photojournalists working in South Africa in the early ’90s and bearing witness to the explosive days leading up to the first free election. Their photos of the combat and violence that took place in the townships won them global acclaim and brought the South African stories to the attention of the world. That these men worked side by side in the center of the action made them brothers, and that is the heart of the movie. The criticism seems to be that the movie fails to adequately shed light on this historic moment in time, but Bang Bang is not meant to be a documentary of the last days of apartheid but rather a look at the lives of four men who jumped into the fray in order to capture the truths of that moment. Each was scarred, in one way or another, by their shared experience, and the movie tells this story well. It is a somewhat intimate portrait of a group of friends and colleagues who supported each other as they sought to chronicle the country’s unrest. Despite the initial shock of hearing Phillippe and co-star Taylor Kitsch speak in some sort of South African dialect, both actors were superb in their performances. Equally impressive were South African actors Neels Van Jaarsveld and Frank Rautenbach as the other half of the “Club.” Watching them in action did not feel so much like a movie as following a team, and that is what made the film so engaging. I appreciate when movies based on true stories are actually presented on a small scale, as if you are being allowed to explore a private journal. The Bang Bang Club doesn’t try to be “important” or convincing or even convicting; it simply walks you through the retelling of the story. And that’s a rare thing in movies these days.